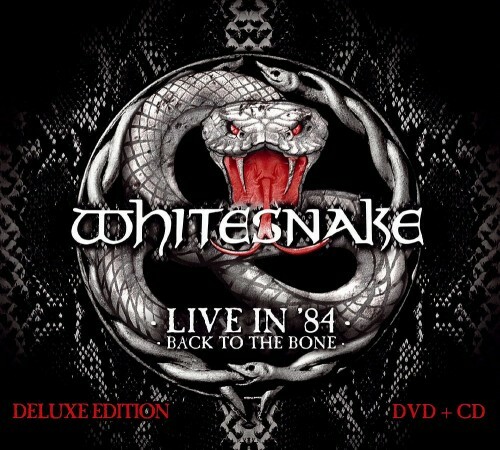 There’s a new Whitesnake live album out — Live In ‘84 – Back To The Bone. It features the band in transition from the good old boogie band to the hair metal one. The album comes in two editions: DVD+CD and standalone DVD. The bulk of the DVD was recorded at a festival in Seibu Stadium in Tokyo with John Sykes on guitar, while bonus tracks are coming from Jon Lord’s final appearance with the band in Sweden. CD features live performances recorded throughout the 1984 tour. Caveat: the sound quality of these is very bootleg-ish. The album came out on November 10, with Japanese release arriving October 29. It has already landed at #1 spot in Japanese charts. Posted by Nick Soveiko on Wednesday, November 12th, 2014, filed under News. You can follow comment on this post through the RSS 2.0 feed. You can skip to the end and leave a comment. Pinging is currently not allowed. Is it the good Whitesnake with Jon Lord and Ian Paice.????? would love to get this one with the mighty Lord. Great and far far better than any of the Whitesnake DVDs/CDs later on. Still we need the real Whitesnake out on DVD. Like Donnington or even before that when Paice was on drums. THAT was Whitesnake. It is a shame that the cameras almost completely ignore Jon during his final performance. I listened to all of the set.. The line-up is the best, but the audio quality is pretty bad. It appears to be a bootleg, not something professional. A shame to have this as an official record.